As the VCA Dance 40th Anniversary Celebration (10 June) approaches, we ask some former students about their memories of the Victorian College of the Arts, and what they’ve been doing since. Baden Hitchcock. By Tiffany Parker. I’m currently working as a dancer with Bangarra Dance Theatre. This is my second year with the company and we’re just about to premiere our new work Dark Emu, inspired by Bruce Pascoe’s award-winning book, at the Sydney Opera House. Last year I had the amazing opportunity to tour to Thursday Island in the Torres Strait where we performed and taught workshops to the local community. This was special to me as I’m a descendent from Saibai Island in the Northern Torres Strait. Meeting family for the first time, teaching workshops about song and dance to the next generation, and performing for the island put things into perspective for me, in terms of where I want my long-term career to go and the power and importance of dance. My most vivid memory from the VCA is of my graduation season. It was the first time all five of my sisters had come to watch me dance and I loved how they were both confused and vocal when I was moving some paper and string around for the opening of Becky Hilton‘s work Everything Has Already Been Done but Not by Us. There was an energy and excitement about the ending of a chapter and the beginning of something new and unknown, as well as a gentle reminder of dance performance as a place of sharing and community. Jessica Devereux. Photo by Peter Eve. Having spent many years in Darwin, Townsville and overseas on dance adventures, I’m currently settling back into life in Melbourne. I’m leading a quiet life at the moment, daydreaming about doing a masters in choreography. Sometimes I book a studio and improvise. For work I teach Pilates, contemporary dance classes for adults, professional company classes for friends who are making choreographic work, and I contribute to community dance projects and research locally. I worked as Dance Animateur for Tracks Dance Company in Darwin, making, performing and collaborating on incredible dance projects in the Northern Territory, mostly outdoors. A particular highlight was dancing and teaching in the remote Indigenous community of Lajamanu for Milpirri. As an independent dancer, my highlights have been choreographing a full-length solo work, Silver Sky, for Darwin Festival, travelling to Slovenia for an Eastern European Dance Exchange at Nagib Maribor, performing in the large-scale participatory event Fun Run by All The Queens Men in Sydney, and dancing in the Megaphone Project in South Korea for Madeleine Flynn and Tim Humphrey. Experiencing different cultures and learning from my mentors Tim Newth, David McMicken and Bec Reid is an ongoing highlight. My fondest memory of the VCA is being in the studio, watching my friends and fellow students dance all day. It left an indelible mark on my muscle memory. Observing. Seeing everyone’s unique ways of moving, having the time to learn really deeply from other people’s dancing. I still remember friends from the VCA by the way they danced. I also vividly remember the inspiration I felt making a duet with Susan van den Ham in Simon Ellis’ work Lying when I was in first year. Simon’s creative development opened my eyes to the world of improvised dance. I remember thinking, “This movement is so strange, but it makes complete sense”. Performing in Phillip Adams‘ piece Catafalque Party at Gasworks also left a lasting impression. The piece was fierce and fun, and I felt so embodied and technically challenged by it in a way that I deeply craved at the time. Sue Healey. Image by Sue Healey. I live in Sydney with my partner, a molecular biologist who researches the heart, and my 18-year-old son, who is training to be a pilot. I make dance (still trying to figure it out); I make films about dance and dancers (why we do it and what is unique about it); and I make installations that try to challenge the way people see and understand dance. At the moment, I travel the world to collaborate with artists in Japan, Hong Kong and Taiwan. I feel incredibly privileged to live my life this way, which was all sparked by my studying at the VCA in 1981. Every work that I complete feels like a highlight to me, but then there are those key works when your perception drastically shifts – recently, making a feature-length film Virtuosi was a major turning point for me, and my On View series (portraits of dance artists) has opened many doors for me in Asia and continues to evolve into surprising opportunities. The sustaining highlight is always the aspect of collaboration inherent in each piece. My most vivid memory of my time at the VCA is the energy of flying through the studio spaces (with my best buddy Claire Heywood) in a challenging phrase by Nanette Hassall or any of my other fabulous teachers. It was such a time of imagining and camaraderie and sheer hard work. 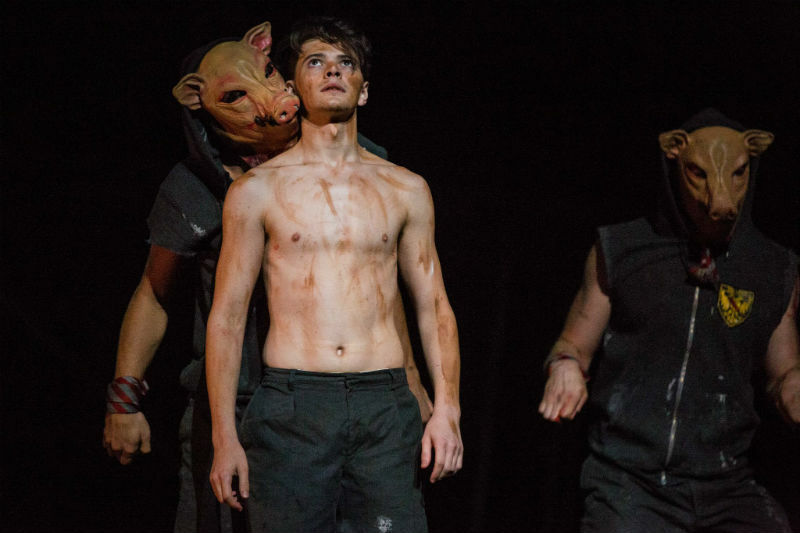 Patrick Weir in Lord of the Flies, 2017. Photo by Mark Gambino. I’m currently living in London. After having a successful year last year I decided to take the plunge in Europe, so I’ve been auditioning for dance companies, projects and other things. 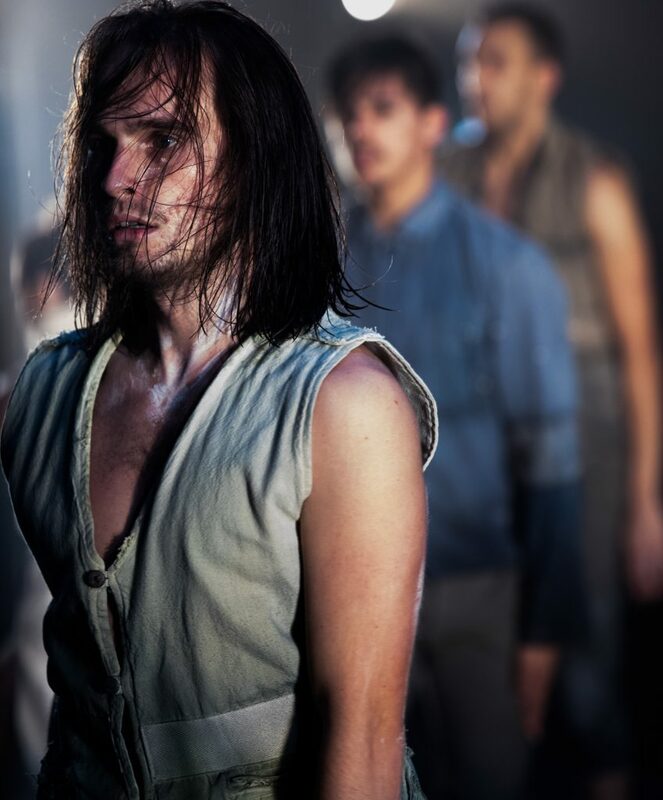 So far my career highlight has been performing the role of Simon in Matthew Bourne’s New Adventures: Lord of the Flies on the State Theatre stage at Arts Centre Melbourne last year – and I’m so excited to have been nominated for Outstanding Performance by a Male dancer in the 2018 Australian Dance Awards for this performance. But I also really enjoyed being able to dance in Ohad Naharin’s DecaDance in Perth 2016 and perform alongside cabaret artist Meow Meow in ‘Tis Pity at the start of 2017 with Victorian Opera. My most vivid memory from my time at the VCA is travelling to Europe with my fellow students in 2016. Being able to do classes with people like Dianne Madden, Nina Vallon and Shlomi Tuizer, and tying this trip in with visiting companies like Danish Dance Theatre and Skånes Dansteater, was an incredible experience. My fondest memories are all the friendships I made while at the VCA, which will last a lifetime. Julie-Anne Long in “Something In The Way She Moves”, 2012. 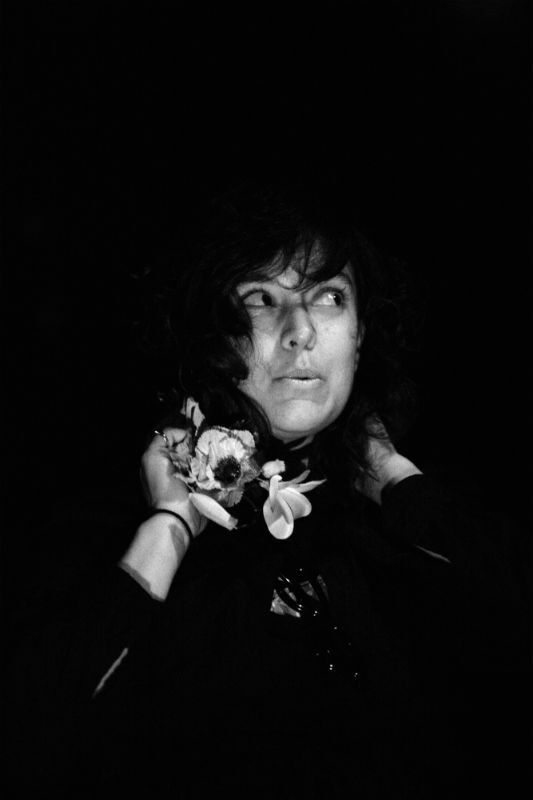 Photo by Heidrun Löhr. After graduating from the VCA I worked in Canberra for two years as a dancer with Don Asker and Human Veins. I moved to Sydney in 1985, as a dancer and choreographer with Kai Tai Chan and the One Extra Dance group, and I’ve been in Sydney ever since. Over the past 30-plus years I’ve worked in a variety of dance contexts as dancer, choreographer, director, producer, mentor, dramaturg, curator and teacher. In 1980 when I sweated it out at the barre in the VCA’s old Nicholson St Studios I never imagined I would work in a university, but I’ve been teaching dance and performance at Macquarie University since 2013. I feel very strongly about being part of a community, and to balance working in an institutional setting I am wholeheartedly committed to communal, collaborative ways of engaging with other like-minded artists. My current role as Co-Director of Readymade Works, an artist-run studio in inner city Ultimo, supports the local independent dance community. “Career” isn’t a word I use often, and I don’t think of my life as an artist in terms of highlights and lowlights. Public highlights are often an anti-climax – just a blip in the scheme of things – and the personal lowlights, whilst challenging at the time, often lead to unexpected opportunities. The fact that I’ve never been able to find something to replace dance in my life says it all. I came to the VCA after having spent a miserable year wandering aimlessly around campus at the University in Auckland feeling lost and displaced – but when I arrived at the VCA I knew I had I found my tribe. To be honest, my most vivid memory is of me running out of Studio X down the stairs, slamming the door of the female dressing room and screaming all the way at the then-Head of VCA Dance Anne Woolliams. Ours was a love-hate relationship – but mostly love and admiration for Anne who was an amazing woman and inspiring teacher. I was a meek “Betty bun-head” when I arrived from Auckland, and when I left I was not. I think you have to have a love-hate relationship with dance. There’s a danger if you only love it. 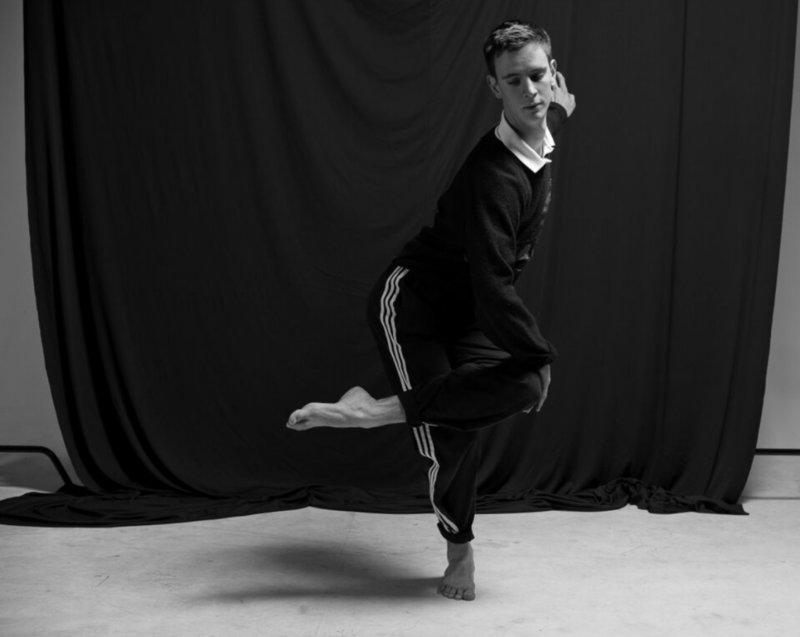 BENJAMIN HURLEY, Bachelor of Fine Arts (Dance), 2016. Benjamin Hurley. By Helen Tran. Since graduating from the VCA in 2016, I have been doing a lot of different things. My routine since graduating shifts on a month-to-month basis and is scheduled around various dance opportunities. I’ve been working with different dance companies, independent artists, performing in festivals, dancing in commercials and film clips, participating in workshops, travelling, and choreographing my own short works while also working casually as a bartender. Those things combined have kept me a busy man and I feel very fortunate for the opportunities that continue to arise and the people I’ve been able to work and collaborate with. The highlights of my career have come from working with an array of different artists across different art forms. At the end of 2016, I performed in a work called Fire Monkey as part of the Multicultural Arts Victoria festival, choreographed by Victoria Chiu. This was a site-specific work out the front of the Arts Centre which collaborated with Singapore-based dance company Arts Fission. Meeting and performing with these dancers from Asia was a wonderful and eye-opening opportunity as we all came from such different backgrounds. Another career highlight for me would be performing in a work by Phillip Adams BalletLab titled EVER, as part of the 2017 Melbourne Festival. Phillip, being a VCA graduate himself, was someone that I really looked up to before and during my own studies. And I can now say that working with him is never anything but exciting, fun and whimsical. My fondest memory of the VCA, if I had to narrow it down, would definitely be travelling to both Europe and Singapore in 2015. In Europe, I participated in a number of workshops and watched a lot of experimental, independent and company dance. Later on in the year, I then travelled to Singapore to perform a work titled Half Glass by Emma Riches in the M1 Contact Contemporary Festival. It was an interesting experience being able to take an Australian work to another country. Tom Lambert. Photo by Shireen Hammond. I’m working as the Access & Inclusion Coordinator for Sydney’s multi award-winning festival of light, music and ideas, Vivid Sydney. My career since leaving the VCA has been very varied. I toured in Fiddler on the Roof with Chaim Topol as an ensemble member and then moved towards arts management. This has seen me tour all over Australia in company management for The King and I and Chitty Chitty Bang Bang, and work in various administration roles for Midsumma Festival, The Production Company, the Victorian State Schools Spectacular, and White Nights Melbourne and Ballarat. I also spent two-and-a-half years as Theatre Operations Officer at Alex Theatre St Kilda, and was involved in redeveloping the old George Cinemas on Fitzroy Street into a live performance venue. The VCA campus holds so many memories for me. I was a student at the Victorian College of the Arts Secondary School and then continued at VCA for the tertiary course, so I was on that campus and in the dance studios for seven years. I feel like I grew up there – it was my home. Having the opportunity to create bonds and friendships with classmates from the various years and disciplines while studying, and being able to work in the industry with these people after graduating, is one of the things I hold most dear. I’m currently Head of Contemporary Dance at the Victorian College of the Arts Secondary School. 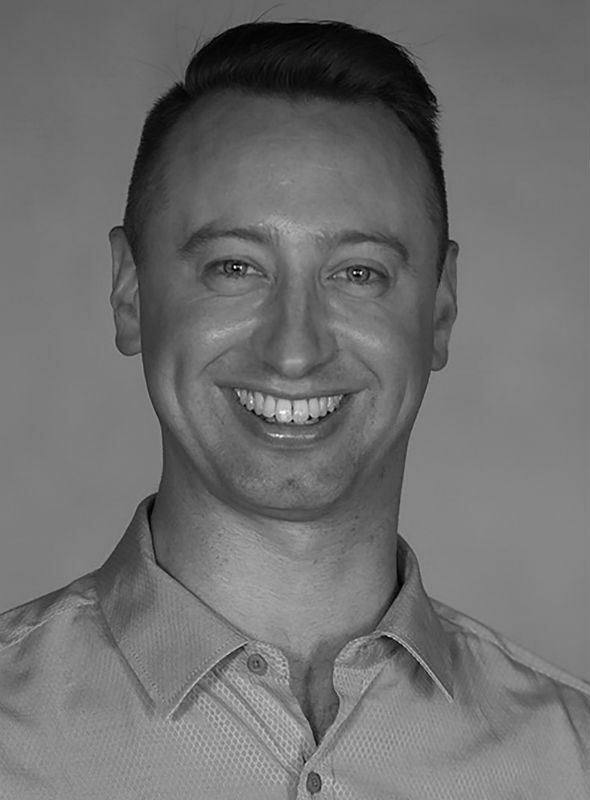 I’ve been teaching there full-time for about 10 years, and have also taught at the VCA and many schools in Melbourne. My wife and I have four primary-school-age children and live in the Macedon Ranges Shire. After graduating from the VCA in 1986, I spent three years in the Royal New Zealand Ballet (RNZB), then two and a half years in CATS in Hamburg, and another couple of years at RNZB, before returning to Melbourne. 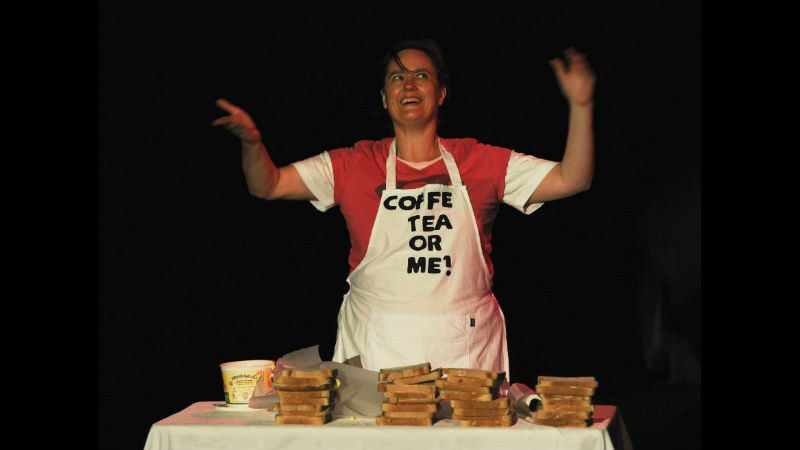 I freelanced as a performer working with Meryl Tankard’s Australian Dance Theatre, Garry Stewart‘s Thwack! and Australian Dance Theatre, Big Fish Dance, West Side Story, Opera Australia, and other projects with ballet, contemporary and commercial organisations. I was the Assistant Director to Meryl Tankard on her work for the Opening Segment of the Sydney 2000 Olympic Games Opening Ceremony. When I was at the VCA, I had classes with some extraordinary teachers who were not only brilliant, but were theatrical, inspiring people. The new St Kilda Rd building seemed to embody the passions and drive that everyone had to make their futures as professional dancers. The most vivid memory is a distillate of experiences – essentially hard work and effort, the drive to prove myself in classes, moving along the tarkett, hearing multiple corrections, constant live music, seeing a self-image in the mirror and warming up in the corridors and balcony of the upstairs studios – always underpinned by an emotion of optimistic ambition. Mikaela Carr. Photo by Hayley Rose. At the moment I’m based in Sydney, where I’ve been involved in the NSW Dance Artists in Residence programs, as well as performing in numerous Dirty Feet productions. Upon graduation I had a professional connection with one of my graduation season choreographers, Prue Lang. Prue has been a mentor and colleague for the past four years now. 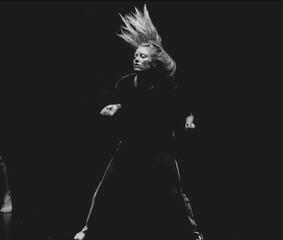 I’ve performed in her works in Pieces for small spaces by Lucy Guerin, Stellar project for Dance Massive 2017, and the Keir Choreographic Awards, and I’m currently developing her new work YONI. Mikaela Carr, Accumulation. Photo by Pippa Samaya. Recently I performed in Chunky Move‘s work Accumulation at the National Gallery of Victoria. With so many people moving through the gallery and three shows a day it was a colourful and wonderful experience, but my career highlight so far has been working with the women who inspired me daily throughout my training at VCA – something I’d aspired to from such a young age. My fondest memory of the VCA is walking into a nurturing environment every morning and warming up. Every day I was inspired to work with rigour and develop creatively. I had the freedom and inspiration to work in whichever direction I aspired towards, and was surrounded by a remarkable group of artists – there was so much rich information to draw from, especially looking back now. There are some who are still wonderful colleagues and sources of inspiration today. 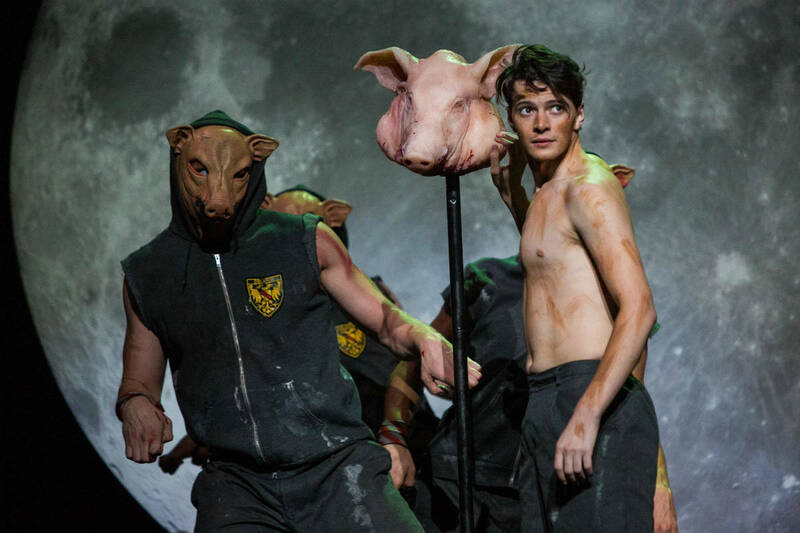 Banner image: Patrick Weir in Lord of the Flies, Arts Centre Melbourne, 2017. Photo by Mark Gambino. VCA Dance 40th Anniversary Celebration is on 10 June 2018. Visit Eventbrite for full details and to register. Find out more about VCA Dance. Visit the VCA Dance 40 website.